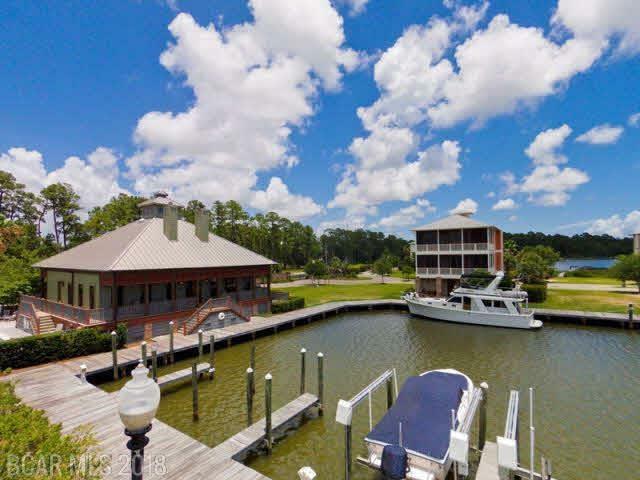 Gulf Shores AL condo for sale at Sunset Bay at Bon Secour.This resort property has 3 BR’s, ap1,890+/- sq.f.t with amazing sunsets in the relaxed setting. This coastal home has a spacious floor plan with granite counter-tops, stainless steel kitchen appliances, gas fireplace and stove, 10’ ceilings, 8’ solid-core doors, tile showers and more! This gated community is low-density with resort-style amenities such as a social room, fitness center, outdoor pool, spa, etc. Private location but close enough to the sugar-white beaches and numerous dining venues – deeded boat slip included, ideal for enjoying the popular outdoor coastal lifestyle. This may be what you’ve been looking for. Sugar-white beaches, fresh seafood, championship golf courses, charter fishing trips, wildlife areas, arts, museums and historic sites are just a few of the options Gulf Shores has in store for visitors. Gulf Shores, with it’s warm weather, is a water-sports paradise. Surrounded by back bays and rivers, there are many opportunities for outdoor recreation and fresh seafood. This area is the perfect getaway and has something for everyone. Choose from a variety of Gulf Shores accommodations ranging from condo rentals, to beach resort houses and gulf-front hotels. According to the U.S. Census Bureau, the city has a total area of 28.0 square miles, of which 23.2 square miles is land and 4.8 square miles is water. Whether you’re ready for fun and adventure, a tranquil day on the beach, or a fresh seafood – you can find it all on Alabama’s Gulf Coast.